The Honda City is a pretty reliable car and buyers bought it for its ease of driving, sorted handling and good power delivery, as well as decent fuel efficiency. The car has gone through four different iterations since its launch in 1998. The Honda City is a pretty well sought after mid-size sedan with good interior comfort, high power-to-weight ratio and a sporty ride quality. Except for the Type-3 City which came with a 77 bhp, 1.5-litre petrol engine, which wasn’t as sporty, the City has been quite a sporty car to drive. The type-1 and type-2 Honda City came with two engine choices – a 1.5 litre, 100 bhp petrol and a 1.3, 90 bhp petrol, the latter being highly fuel efficient and known to give close to 15 kmpl in the city. The latest Honda City – the fifth generation globally – has a 1.5 litre engine that puts out 116 bhp of power, with iVTec (variable valve timing using a movable camshaft) technology. While the Type 1 and Type 2 Citys are now quite old in the market (having been discontinued in 2003), there are a few good examples that can still be bought for less than Rs. 1.5 lakh. The City ZX has a slightly higher resale value and is much sought after as it gives good fuel efficiency. The latest City was introduced in 2008 in India and has had a minor facelift in 2011. If you are looking for a used Honda City here are some key check points for the car. 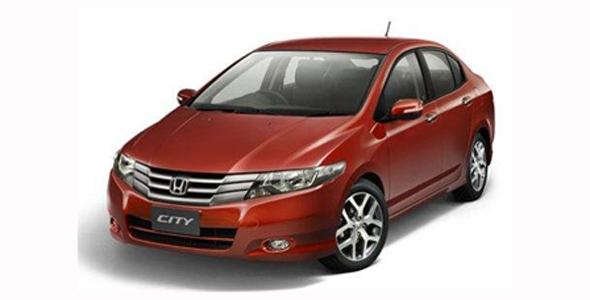 The Honda City comes in both automatic and manual options. The manual transmission variants have a fairly light clutch and slick shifting gear lever. Check for play in the clutch pedal which could be indicative of an upcoming clutch overhaul. Also check for difficulty in engaging gears – the car has a smooth gearbox and there should be no stiffness at all. Also read: How to check for clutch trouble. One bugbear with Honda City cars – especially the type 3 model was the suspension system, which has plenty of rubber bush components that tend to get hard over the years or if the car has been lying unused. These become brittle and then the suspension becomes very noisy, with loud thuds and rattles heard over bad roads. Get these checked. They are fairly expensive to replace. Also read: How to check your suspension. Parts such as headlamps and tail-lamps for the older-generation City may be hard to come by now. However, for the type 3 and type 4, parts are easily available, although they are slightly expensive. A bumper replacement can cost about Rs. 14,000. Headlights cost about Rs. 4,500 each. Share any more tips you have on buying a used Honda City with the CarToq community.